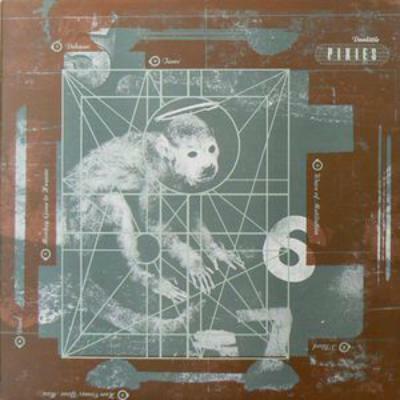 I could have chosen any of the first three releases by Pixies – the Come On Pilgrim EP, Surfer Rosa or Doolittle. We bumped into Pixies when 'Sit Down' was number two in the charts. We were staying in the same hotel as them. I had seen them on TV and thought they were okay. I didn't get them totally but I thought they were pretty interesting. I went up to Black Francis at breakfast and introduced myself. We got talking for about half an hour and hit it off instantly. He invited me to a gig they were playing that night in London. I dragged two members of James, who had never heard of Pixies, to the show. We were up in the balcony chatting and not totally paying attention. I remember after about four songs, Saul [Davies] turning and saying, "Have you been listening to this?" He pushed us to the front of the balcony and we watched genius in front of our eyes. It was incredible – the arrangements, the vocals – Black Francis screams like no other singer – and beautiful subtlety within their post-punk songs. Pixies should have been as big as Nirvana, but never had a cute Kurt Cobain frontman. They were always one of the most ungainly-looking bands on the planet, but they made the most heavenly music as far as I was concerned. I love the surreal nature of the lyrics, that didn't quite make sense. I was a singer and I was all about making sense and communicating, and here was a band that seemed to do the opposite and the results were fantastic. That was quite revolutionary to me. Later, when we worked with Brian Eno on five albums, he would say to me "stop making sense" and I would think of the Talking Heads album of the same name, but I would also think of Pixies. With Pixies, not a large amount of people got them back then, as they were too ahead of their time. When Kurt Cobain said that in his perfect life he would have been born as the lead singer of Pixies, many people began to discover them. It meant that when they returned from their hiatus, they were bigger than they were previously as everyone had caught up to realise that Pixies were one of the most influential and important bands of all time. I got to know them a bit more and once went to see them play a tiny warm-up gig in London. I went backstage and was talking to Black Francis about screaming. I was asking how he did it, because when I tried, it wrecked my voice and I couldn't sing. He told me that a Puerto Rican man, who was a chef in a crappy restaurant in California, taught him how to scream. He then tried to teach me. At the time, he failed. I can scream a bit more now, but I think I was born more of a crooner.